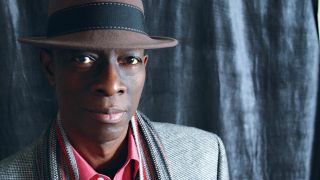 He’s a Grammy-winning bluesman from Nashville, Tennessee - but how will Keb’ Mo’ handle the 10 questions we ask everyone? 2. Suppose the building’s burning down - which guitar from your collection would you save? “I’d have to go and get my Keb’ Mo’ [Bluesmaster] Gibson, because that’s what I like writing songs on, mostly, and I think songs are at the heart of what I do. 3. 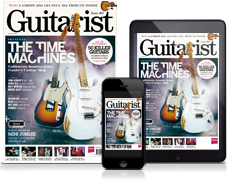 What’s the oldest guitar that you currently own? “The last time I practised, I played my Will Hirsch handmade acoustic guitar and I was playing along to the NPR Tiny Desk sessions. National Public Radio has this concert series and it’s done in a little tiny office. People cram themselves in there, it’s not heavily mic’d and it’s just as close to unplugged as you can get. 6. What’s the closest you’ve ever come to quitting music? “In 1991, probably. I went to school to try to find something else to do and I took an electronics course for a year. Then I got a job with Roland Electronics and I decided to go home and think on it, and I called the guy next morning and said that I’d changed my mind and I didn’t want the job - and I kept going. 7. If you could change one thing about a recording you’ve been on, what would it be and why? 8. What’s the worst thing that’s happened to you on stage? “I had a paper cup full of drink thrown at me in Knoxville, Tennessee. A crazy guy came in the back door, snuck in, and he had a drink with a straw in and he hurled it at me on stage [laughs] and it hit my guitar. 10. What aspect of playing would you like to be better at? Keb’ Mo’ and Taj Mahal’s new album, TajMo, is available on Decca Records.